AutoPot have now added a new 16mm-6 mm inline filter that is now supplied as standard with the AQUAbox range. It can also be purchased separately from your local retailer or from the AutoPot On-line Shop. 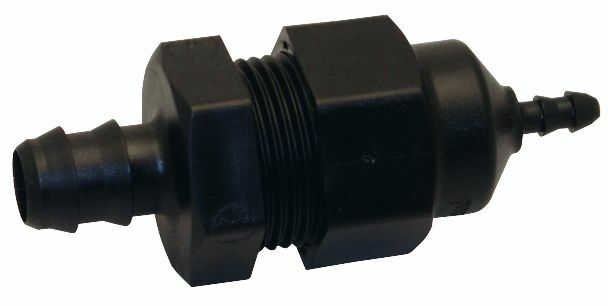 It allows easy connection to an existing water barrel by using 16mm pipe (standard hosepipe) and then reduces to 6mm allowing easy connection to any of the AutoPot irrigation range using 6mm pipe. The fitting also has an internal filter that can be accessed with ease ensuring cleaning is made simple.